After this week’s rate hike, expect continuity – and then complication. Janet Yellen has presided over what will likely be the final rate increase by the Federal Reserve before she gives up the chairmanship to her successor, Jerome Powell. 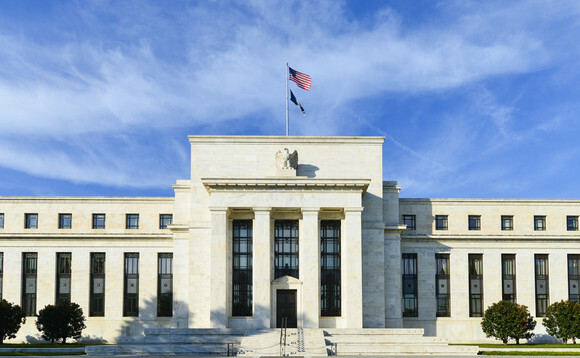 The 25 basis point move was widely expected, with the Fed citing accelerating economic growth and a strengthening labour market as reasons for maintaining its steady tightening course. Its growth forecast increased by 0.7% cumulatively over the next three years, while its expectation for unemployment dropped two tenths of a percent to 3.9%, both figures incorporating potential fiscal stimulus. Yellen expressed confidence that inflation, although likely a bit below the 2% target due to transitory issues, should gravitate toward that level over the next year. The Fed plans to continue to gradually reduce its $4.5 trillion balance sheet. With the current rate increase, Yellen will leave the Fed on 31st January (after one more meeting) about halfway through the normalisation process. Since December 2015, short rates have risen from around zero to the current range of 1.25%-1.50% and, according to FOMC members’ ‘dot plot’ expectations, should ultimately reach around 2.75%. Thus far, normalisation has been a thing of beauty. It’s been soft in its impact on the market and accompanied by low volatility across asset classes, whether rates, equities or credit, as well as benign for the economy. Now, with three quarters of 3% plus US growth under its belt, conditions appear to be returning to a more normal, pre-crisis type expansion, while Europe and much of the emerging world are operating on all cylinders. With the changing of the guard at the Fed, we don’t expect an immediate shift in policy. Strong growth trends (and generally favourable market conditions) could continue through at least mid-2018. However, the business cycle is rapidly aging, and we believe that rate increases could start having more impact – especially when combined with the pending $1 trillion reduction in liquidity from central bank balance sheets and short-term rate increases over the next 12-18 months. Taking a look at the last time the Fed raised interest rates, in 2004-2006, the length of the tightening period was similar to today, but the pace was faster. The FOMC simply had to cover more ground to reach what was expected to be the terminal (or peak) fed funds rate. The prevailing inflation rate was higher then as well. However, a key similarity was (and is) the behaviour of the yield curve, which has been flattening. Again, the issue relates to how far rates have to travel. If ten-year treasury yields stay in a range of 2.25%-2.75%, short-term rates will likely catch them after just four more 25 basis point increases. After that, the Fed could pause to assess inflation dynamics – or keep going with rate hikes and accelerate a possible yield-curve inversion. This could bring the Fed into conflict with bond markets, which have been reluctant to bend to its tightening efforts. One thing that could alter the Fed’s path is still meek inflation. Despite healthy growth, US core CPI remains low (1.7% in November) and wage pressure is generally still missing from the picture, perhaps hampered by the ‘silver tsunami,’ or employment transition from higher-paid older workers to lower-paid millennials, as well as the continued effects of technology in the workplace. The Fed still appears to believe in the Phillips curve, which says that inflation is inversely related to unemployment. Given current conditions, it would seem that the unemployment rate must move even lower than the current 4.1% (the FOMC currently expects a decline to 3.9%) before we see an acceleration of wages needed for higher prices. A key question, then, is whether next year provides a change in inflation dynamics and core CPI reaches or moves above the 2% target rate. Historically, continuity has been the norm in transitions between Fed chairs – for a while. With the change from Alan Greenspan to Ben Bernanke, for example, rate hikes continued for six months before ending in June 2006. And after Yellen replaced Bernanke, tapering rolled on, accompanied by rate increases (interrupted by the oil price collapse of 2015), which followed the script written before Bernanke’s departure. In the current instance, Yellen is anticipating a balance sheet reduction while the Fed dots suggest three rate hikes next year. With that history, we expect Powell to wait a couple quarters while taking the temperature of the economy and inflation. Any new direction should start becoming apparent at the September and December meetings of 2018. Along the way, Powell is likely to receive a host of competing opinions, given new Fed appointees and the increasingly outspoken voice of regional Fed presidents. Holding together a consensus could become more challenging as continued rate hikes and quantitative tightening start to have a meaningful impact on the macro picture, and as market volatility climbs upward.